I. ChinaStatistical Yearbook on Environment -2016is prepared jointly by the National Bureau of Statistics, Ministry of Environmental Protection and other ministries. 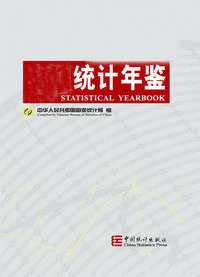 It is an annual statistics publication, with comprehensive data in 2015 and selected data series in major years at national level and at provincial level (province, autonomous region, and municipality directly under the central government) and therefore reflecting various aspects of China’s environmental development. II. ChinaStatistical Yearbook on Environment -2016contains 12 chapters: l. Natural Conditions; 2. Freshwater Environment; 3. Marine Environment; 4. Atmospheric Environment; 5. Solid Wastes; 6. Natural Ecology; 7. Land Use; 8. Forestry; 9. Natural Disasters & Environmental Accidents; 10. Environmental Investment; 11. Urban Environment; 12. Rural Environment. Six chapters listed as Main Indicators of Population, Resource and Environment；Main Resources & Environmental Indicators in the 12th& 13th Five-year Plan;Main EnvironmentalIndicators by Eastern, Central and Western; Main Environmental Indicators of the World’s Major Countries and Regions; Explanatory Notes on Main Statistical Indicators.